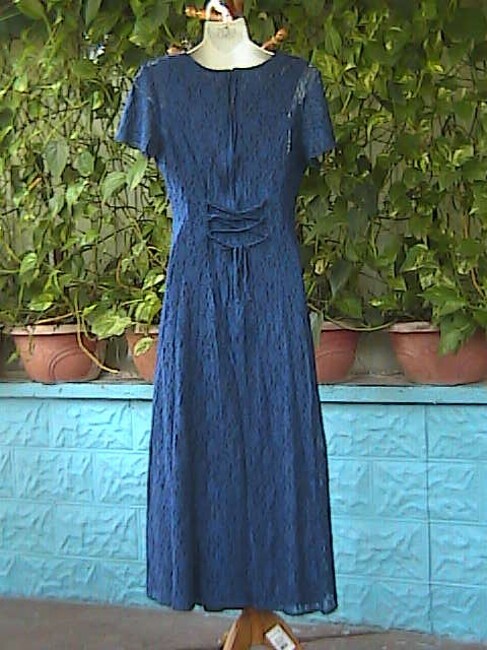 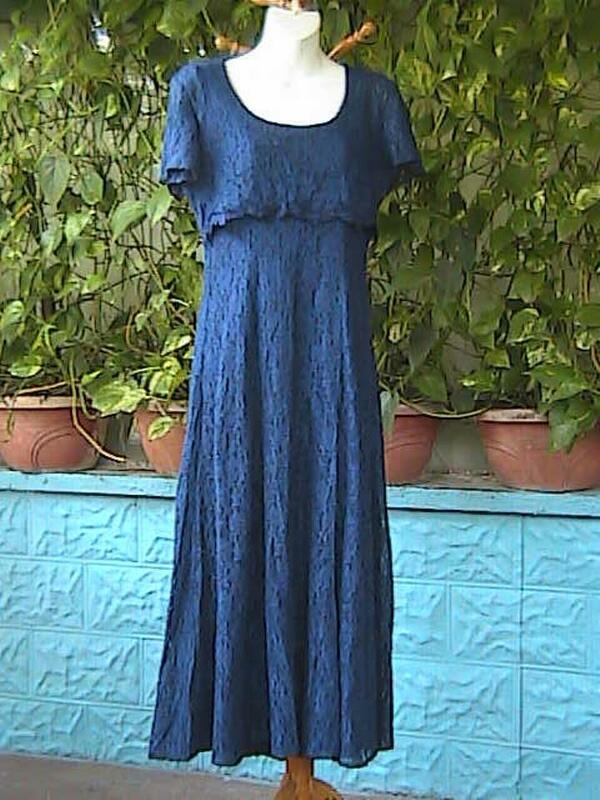 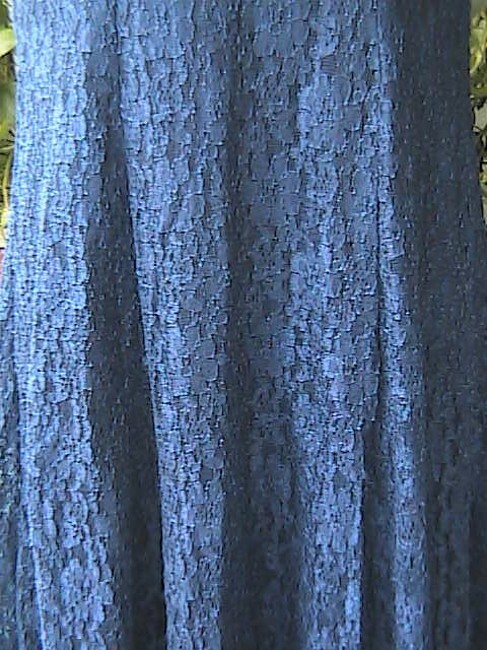 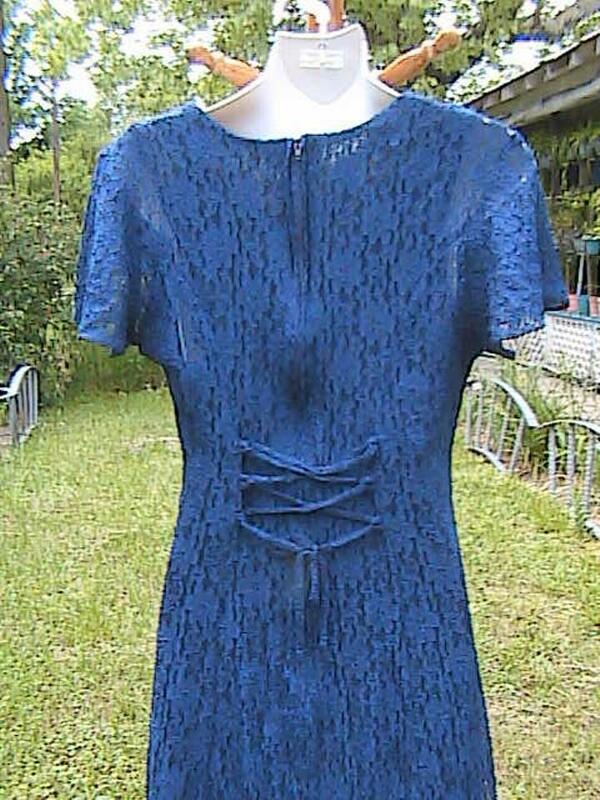 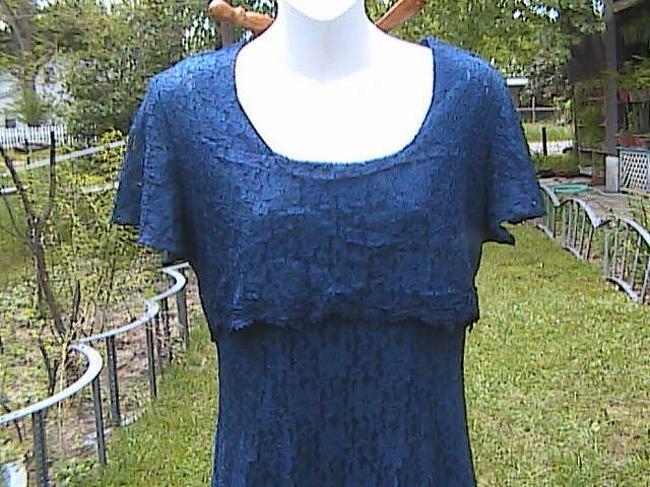 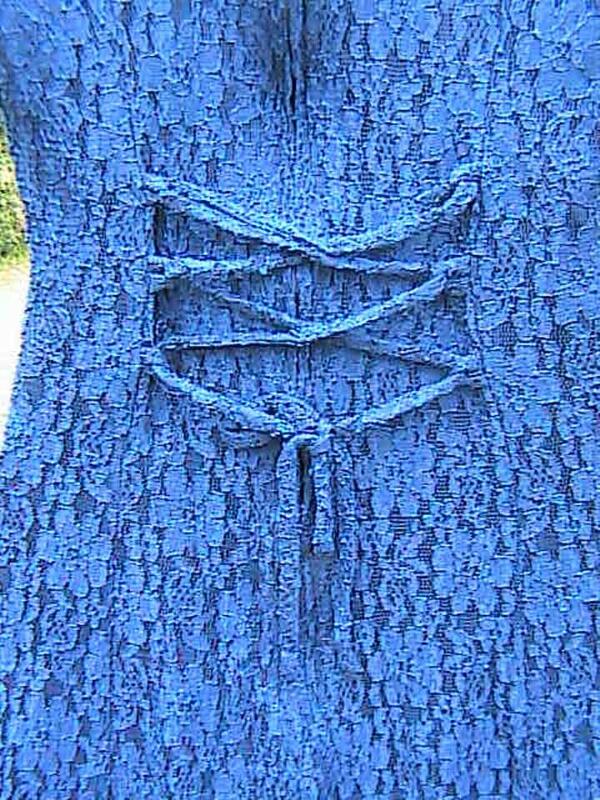 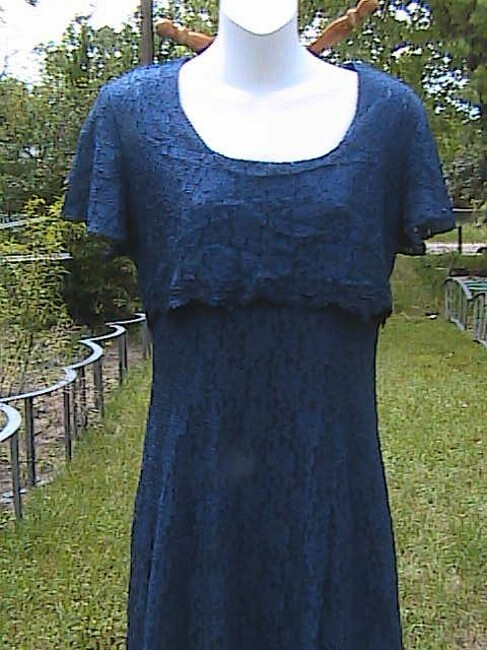 Jady California Blue Butterfly Short Sleeve Lace Casual or Office Attire Dress, size 7, 100% Polyester, Back Zipper adjustable back String. 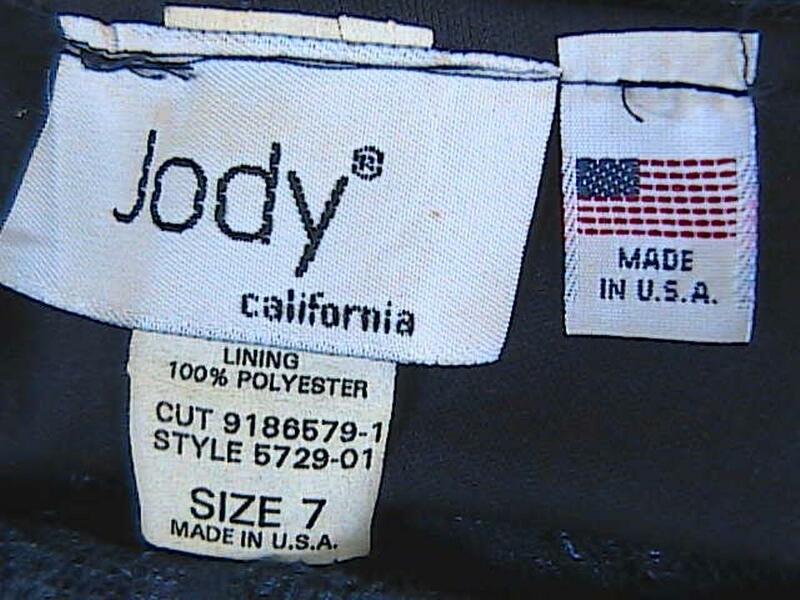 Kinda Heavy dress. Bust 38" Length 49".